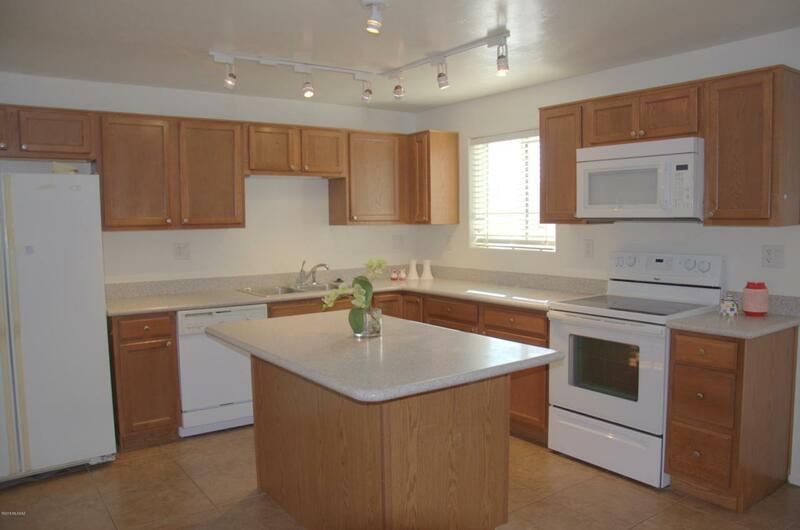 Affordable central living in this end unit condo that offers mountain views from master bedroom. 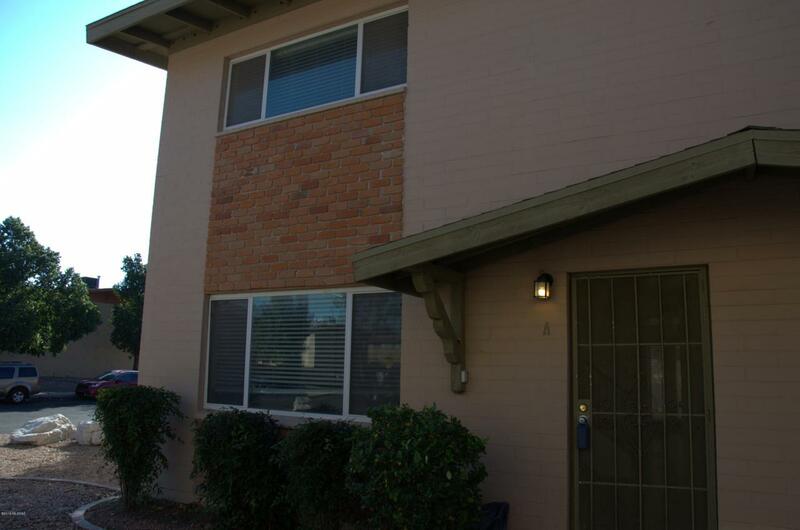 It is an excellent, low maintenance property with easy access to the University of Arizona and downtown. 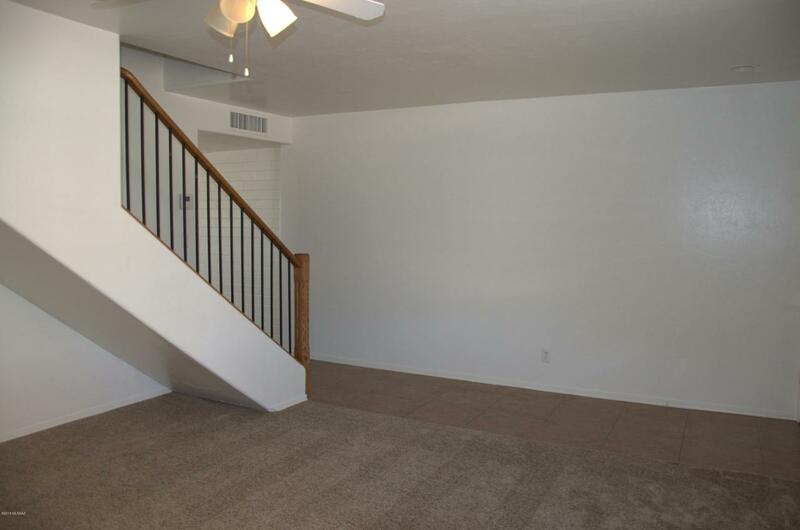 Spacious living room, large island kitchen, powder room, and laundry area on main level. Tile and new carpet throughout house. 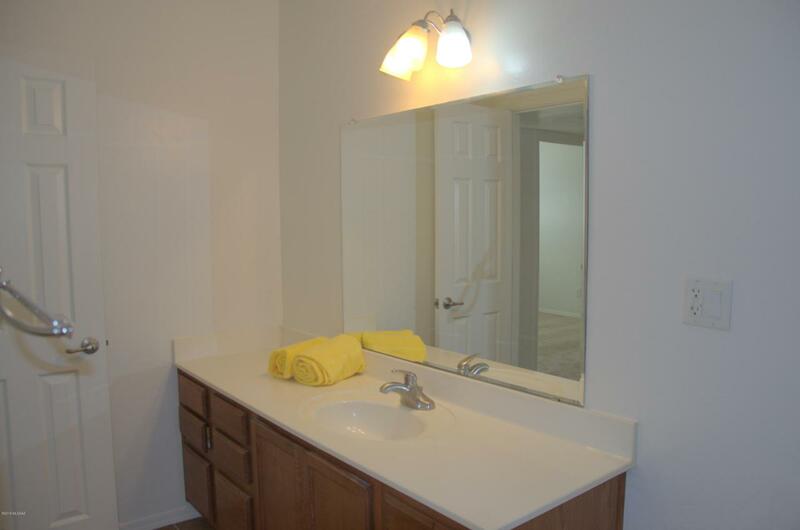 3 bedrooms with a full bath and a walk-in closet in the master. Walled back courtyard perfect for BBQ and small garden. This wonderful community features a pool and clubhouse; structural insurance, exterior maintenance (including roof), trash & exterior pest control covered by the HOA.